Dr. Reski is a native of St. Paul Minnesota. He attended St. Olaf college and graduated with a degree in Chemistry. He received his doctorate degree at Pacific University’s College of Optometry. As of April 2015, he has completed his credentials to the College of Vision Development (COVD). Congrats Dr. John! 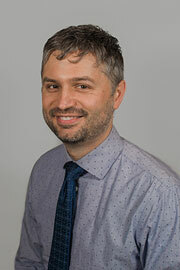 Outside the office, Dr. Reski enjoys cycling, playing his trumpet with local musicians, and competing in an indoor soccer league. He also recently completed his first triathlon. Dr. Rachel was born and raised in Huron, SD. She attended South Dakota State University where she met her husband. She graduated with a bachelor of science in biology and went on to receive her doctorate at Pacific University College of Optometry. As of April 2015, she has completed her credentials to the College of Vision Development (COVD). Congrats Dr. Rachel! Outside the office, Dr. Rachel enjoys spending time with her family. They enjoy hiking, riding bikes, camping and watching movies. She also enjoys scrap booking and quilting. Dr. Julia Sirianni is an optometrist working at NWECP. She grew up just south of Portland, Oregon and attended Southern Oregon University. 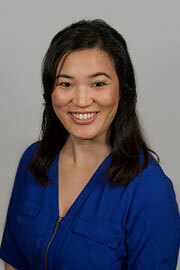 She is a graduate of Pacific University College of Optometry and received VSP’s Primary Care Student Award. Dr. Julia spent some of her fourth year of optometry school working with Dr. Bruce and the NWECP’s team. She especially enjoys working with pediatric patients. When she is not peering into patient’s eyes, she enjoys volunteering in the ministry, working on her garden and playing with her pets. She is currently learning how to knit. 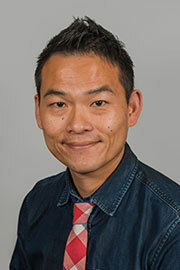 Dr. Lee recently moved with his family to the Portland Metro Area from the San Francisco Bay Area. He attended University of California Los Angeles where he majored in Psychobiology and Accounting while minoring in Art History and Asian American Studies. 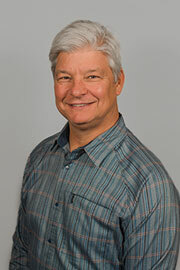 He earned his doctorate in 2005 at the State University of New York and received the 2005 COVD Vision Therapy award. He then furthered his education and passion in vision therapy as a resident at SUNY’s Vision Therapy and Rehabilitation program. Dr. Lee has also received his Fellowship in College of Optometrists in Vision Development. On his spare time, Dr. Lee enjoys hiking, exploring historic sites, painting, eating new cuisines and cooking new recipes with his family. Lately, his 2 year old daughter has been keeping him busy touring all the playgrounds in Portland. He also loves to travel. He has scaled Cambodia’s Angkor Wat’s walls to swimming in Croatia’s coast and even volunteering in the countryside of Guatemala, and much more. If you are interested in food and travel, you will have an endless conversation with him. Dr. Elizabeth finished her vision therapy residency in June of 2018. 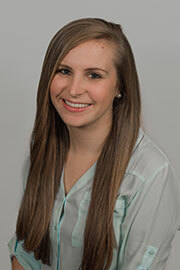 She is now an associate doctor and will assisting in opening our newest location: Hillsboro. She gets to do a little of everything: from seeing patients who have suffered from brain injury, to routine and pediatric eye exams, to working one-on-one with amazing patients in the vision rehabilitation department. 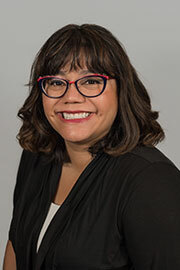 Elizabeth earned her doctorate from Pacific University College of Optometry, and received the Dean’s Award and the Tole Greenstein Award for Binocular Vision and Vision Therapy in 2017. She lives with her husband near Forest Grove, where she loves to spend time relaxing in the country, volunteering at farmer’s markets, playing music with friends, and drinking copious amounts of coffee. 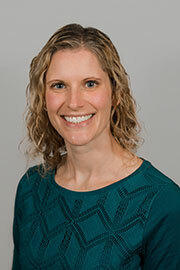 Dr. Laura is one of the resident optometrists at NWECP and is new to the Portland area. She grew up in Fredericksburg, Virginia and attended the University of Virginia with a degree in Kinesiology. She received her doctorate from Southern College of Optometry in Memphis, Tennessee. She is one of five siblings and loves being part of a big family. She has three nephews and one niece that she absolutely adores and always enjoys getting to see them. In her spare time, she likes spending time with friends, crafting, and finding coffee shops where she can read a good book. Dr. Kayla is a Southern California native. She attended University of California, San Diego and graduated with a degree in Biology and a minor in Psychology. She received her doctorate degree at Southern California College of Optometry at Marshall B. Ketchum University and graduated with honors. 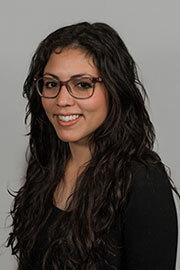 After working as an optometrist in Los Angeles, she joined our team as one of the resident optometrists. Outside the office, Dr. Kayla enjoys discovering new restaurants and exploring the beautiful outdoor scenery of the Pacific Northwest.